At Morgan, there are all kinds of talents in the student body. Freshman Kerryanne Longyear is a great example. Her art is something worth seeing, with a style that’s all her own. 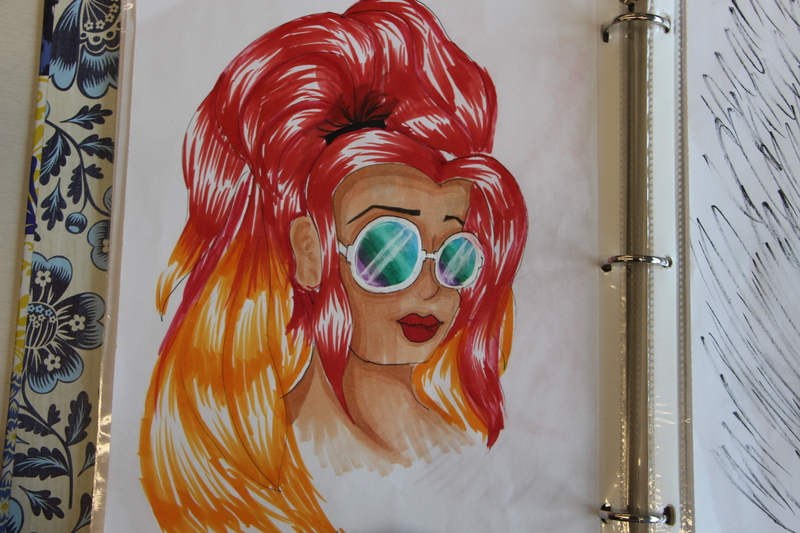 Since the summer, she has been getting into her art, creating fantastic art pieces that can range from fun and colorful to more serious and beautiful. Rather than just picking up a pencil and immediately making a masterpiece, she has reached this level of skill through practice, hard work, and more practice. One way she can practice her skills is during the month-long event of Inktober. During the month of October, artists make one drawing each day, using only black ink. Another way she can enjoy art related subjects is through anime club. Getting to practice drawing and seeing other people’s works is a good way to learn and improve as an artist. As a relatively new artist, she doesn’t have a set style just yet. Instead, it more depends on how she’s feeling and what mood she’s i n. She says, “There are days where I sit there and can’t make anything good, and other days in thirty minutes I have something great.” Her art gets better and better as she develops as an artist. She can look back on her earliest works now and see the differences. She has improved so much in the short amount of time between the summer and now. The drawing, (left) was one of her first and a least favorite of hers. 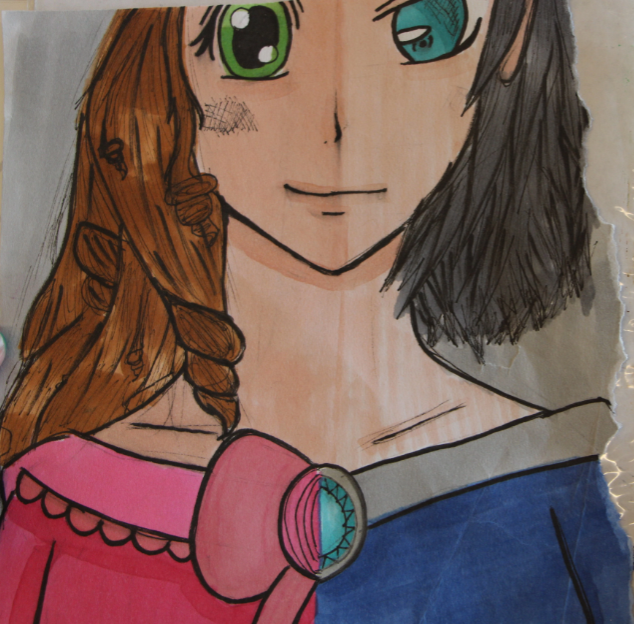 The other one, (below) was much more recent and actually won first at the Durham Fair’s art contest for her age, 14.